What is modern IT? How do you manage the modern IT environment? The tools and technology available for IT are becoming more and more innovative and advanced. This new generation of technology is making companies more efficient, faster, and more profitable than ever before. With the astronomical benefits of these tools, organizations are quickly adopting them into their infrastructure if they haven’t already. However, this rapid adoption of cloud applications and alternative machines like Linux and Mac, is creating another challenge for IT admins. How do you manage all of these resources efficiently? Furthermore, how do you ensure that every single one of these disparate resources is secure from the ever growing threat of a hacker or breach? In order to help IT admins address this new and growing challenge, we created a guide that helps detail out some of the different strategies that you can take for multiple areas of IT. 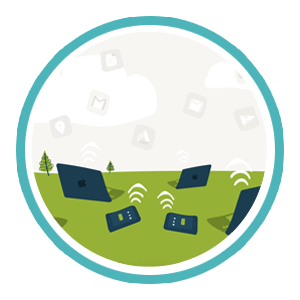 This includes cloud identity management, heterogeneous systems management, mobile device management, and more. By reading this guide, you will find yourself prepared to take on not only the current state of the IT environment, but the future of IT as well. 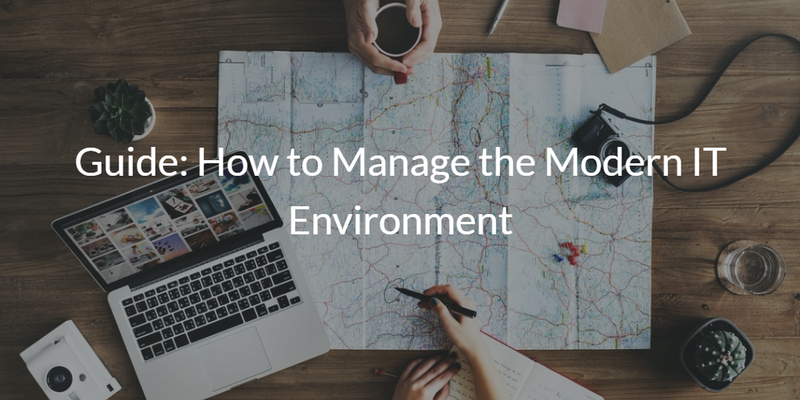 Check out the guide “How to Manage the Modern IT Environment” by clicking on the image below. Having the ability to properly manage the modern IT landscape is absolutely critical to having a secure company in today’s world. Cloud applications, heterogeneous systems, WiFi networks, online identities, and much more are here to stay, and the traditional AD solution just can’t keep up. This guide helps demonstrate the modern tools that are built to help you overcome those challenges, and will set your organization up for success. If you would like to learn more about how IT has become what it is today, check out the previous two installments of this series: “How Microsoft Lost Touch with Modern IT” and “Modern IT Infrastructure.” These two white papers provide in depth detail into the past, present, and future of IT, and provide an understanding that will allow you to have an understanding of the market as a whole and where it will be in the future. Alternatively, if you have any questions on how to manage modern IT environments, you can also reach out to us. We would be happy to help you figure out how you can tackle all of your IT challenges, while saving you time, money, and stress in the process.